Jo Foster oversees the Institution of Engineering and Technology’s (IET) Women’s Network, which aims to support women in engineering and inspire the next generation. 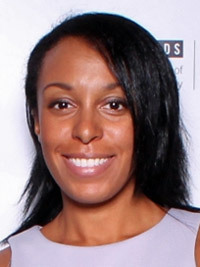 In her role she is responsible for the IET Young Woman Engineer of the Year Awards, which celebrate today’s most successful female engineers working in the UK, encouraging them to become role models to inspire more girls to become engineers and help address the gender imbalance in engineering and science. The IET is one of the world’s largest multidisciplinary engineering institutions with over 167,000 members in 150 countries and it is working to engineer a better world by inspiring, informing and influencing its members, engineers and technicians and all those who are touched by, or touch, the work of engineers. The Institution of Engineering and Technology’s (IET) latest social media campaign #9PercentIsNotEnough has been encouraging engineers to share a picture with their hand raised to the fact that only 9% of women make up the UK’s engineering and technology workforce – and to highlight that engineering is a realistic and inspiring career for girls. 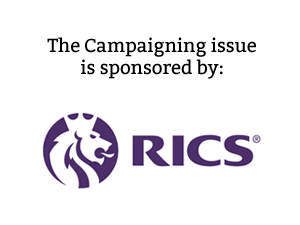 The campaign was launched to promote our IET Young Woman Engineer of the Year Awards, which celebrate women working in modern engineering – and aim to help change the perception that engineering is predominantly a career for men by banishing outdated engineering stereotypes of hard hats and greasy pipes. The campaign has had a fantastic response from both female and male engineers (and non-engineers) across different disciplines and generations. Supporters who have posted selfies and photos include MPs Lindsay Hoyle, Chuka Umunna, Chi Onwurah and Heidi Alexander, Robot Wars judge Noel Sharkey, television presenter Natasha Kaplinsky and tech reporter Kate Russell. We want engineering to be seen as the fantastic career that it is. It’s diverse and exciting with the opportunity to change lives – and the world. But the lack of diversity is a huge problem for our sector which has a big skills shortage. It’s also a problem because it means girls and women are missing out on creative career opportunities that also give them the chance to improve the world in which they live. The #9PercentIsNotEnough campaign was boosted this month when we celebrated the brightest and best female talent in engineering at the IET Young Woman Engineer of the Year Awards. During the awards, we celebrated the amazing talents of our five finalists, but sadly there were only three awards up for grabs. Jenni Sidey, a lecturer in the Department of Engineering at the University of Cambridge, won the overall IET Young Woman Engineer of the Year title. She is currently working on the development of the latest low emission combustion devices for use in the transportation and energy sectors. Outside of her day job, Jenni is co-founder of the group Robogals Cambridge, which aims to get girls interested in science and engineering through robotics and coding workshops. She has taught coding to an incredible 3,000 secondary school girls around the UK over the last two years. The IET Mary George Memorial Prize for Apprentices went to Gemma Dalziel, an apprentice network consulting engineer at Cisco, working on network technologies and network security. Keen to share her experiences with others, Gemma has got involved in various STEM outreach activities. She has contributed to Cisco’s industry days and work experience weeks for students, and spoken about technology careers at local schools and colleges. Bethan Murray won the Women’s Engineering Society (WES) Prize. She is a manufacturing systems lead at Rolls-Royce, working on the systems that aid the manufacture of the latest aircraft components. As well as delivering STEM talks, Bethan has run a weekly Girls Engineering the Future after-school club, with girls in Year 9 and 10. She has mentored them through building wave power generators and using stop-motion animation to create a film on women in engineering. She has also promoted the apprenticeship route at various events. At one particularly high-profile event to celebrate National Apprenticeship Week, she gave a presentation to over 100 students, teachers, employers – and the Deputy Prime Minister. 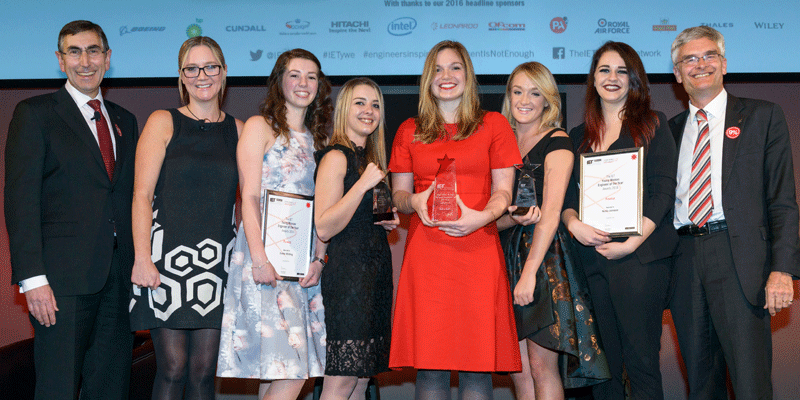 The Awards celebrate female role models who can help address the UK science and engineering skills shortage by promoting engineering careers to more girls and women. These talented women are a real credit to the engineering profession and will help to encourage more girls to consider a career in engineering and technology. You can do your bit by supporting our campaign and highlighting that #9PercentIsNotEnough.